In a recent Wall Street Journal article, “Wal-Mart’s E-Stumble”, Amazon was confirmed as the leader in online sales due to its large U.S. warehouse network, but Wal-Mart is trying to find ways to compete. Although Wal-Mart is not only building its warehouse network and looking at other opportunities to lower logistics and distribution costs, Amazon posted web sales of $61 billion, compared to an estimated $7.7 billion for Wal-Mart. It was stated by former Wal-Mart executives that Wal-Mart was late to the e-commerce game. By taking this “wait and see” approach into the e-commerce business, Wal-Mart lost valuable market share to its competitors that it has not been able to regain. As more consumers purchase items via the internet it will be even more necessary for management to be creative in finding new ways to pick-up customer business. In an attempt to compete in e-commerce Wal-Mart will either ship from warehouses, have workers package products and send from individual store locations or even in certain store locations set up in-store lockers for e-commerce customers to pick-up items. Wal-Mart may be able to take advantage of same day delivery for grocery items that other companies started to try and promote. Currently the store isn’t set up for same day delivery of fruits and vegetables, but stores like Amazon have started to build there infrastructure for shipping same day perishable items. Recent acquisitions by Wal-Mart, including the company’s purchase of Chinese online retailer Yihaodian, have helped to increased this years fiscal global e-commerce earnings. I believe that it will take more of these acquisitions for in order to increase at the pace to pick up market share. This could be in the form of warehousing, logistics or even software. I find it strange that a company as large as Wal-Mart has not been able to be more competitive in e-commerce and that management took a backseat early on in this quickly growing market. Not only in the U.S. but in markets like China you are seeing huge e-commerce business by companies such as Costco and Macy’s. These companies have found that this can be a way to limit risk and costs by not needing to have stores, but just have warehouses in low rent areas. Using the vast supply chains of these companies will continue to push them to increase their e-commerce sales. Over the past few years I have used e-commerce for its convenience and ease of searching for products. In terms of groceries I still like to go to the store in-person to make my choices, but for pretty much anything else, I’ll shop via e-commerce. From the articles I’ve read and people I’ve spoke with it appears that this is the trend in the marketplace. 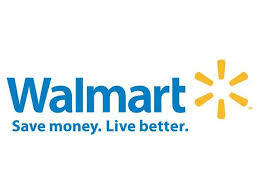 Do you think it’s necessary for Wal-Mart to increase its e-commerce market share in order to excel? Do you expect that the current ideas Wal-Mart has to increase e-commerce sales will work or are there other ideas that would work better for Wal-Mart’s business model? Are Corporations Our Personal Shoppers? The thought of ordering an item online and receiving it the same day, just a few hours later seems unrealistic. With technology becoming more integrated in our world and the demand for instant gratification, this unrealistic idea is now a reality. Major corporations like Wal-Mart, Amazon, and EBay have adopted this new service of same-day delivery. It is really testing the limits of supply chain management, and now a whole new look on logistics is being placed in the hands of these corporations. Wal-Mart , is sitting at an advantage because of its massive fleet of stores across the country. They use their 4,005 locations as inventory holders and distribution centers, so now when you order something before noon you can receive it by that evening. Workers will literally go down the aisle and collect the item you want, which is later delivered to your door. Even though this service is only in the test phase in five major cities, Denver, Philadelphia, Minneapolis, northern Virginia and San Francisco/San Jose, it has proven to be a huge success thus far. 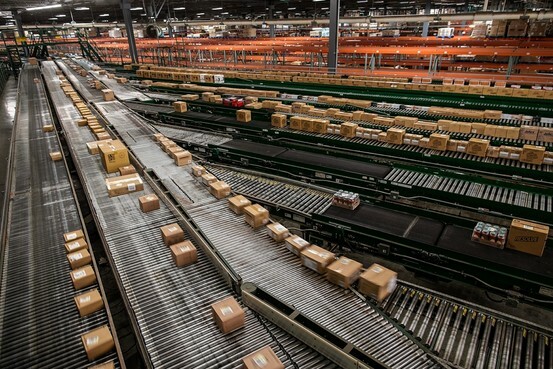 Amazon has a new technology that now sends your order to the closest of its 40 massive and highly efficient distribution centers that has same day service available. From here a robot find your item and places it in a place where a human can package it and ship it to you just in time before the day is over. This is pretty crazy, right? Wait till read this next corporation’s new strategy! 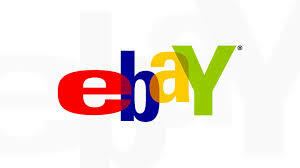 EBay, a dominant online seller has a brand-new beta service that brings same day delivery to an even new level. It currently operates in beta form in New York, San Francisco, and San Jose. This service involves personal shoppers, or “valets, that EBay will send to pick up a good you have just ordered. They will literally drive to the outlet from which you ordered it from through EBay, and deliver it to your doorstep that same day, sometimes even within only few hours! If this doesn’t impress you then this will. EBay now even offers an iOS app that you can use to buy, and track your item for same day delivery. This app tracks your “valets” progress in real time so you know exactly where he/she is, what step of the delivery they are on, and how far away they are from your home. This tracking app will even give you a picture of what the “valet” looks like so you can recognize them when they arrive. Once they have arrived, all you have to do is simply swipe your credit card, or pay with PayPal. The best part about this service is that it costs only $5, yes that’s it! With this extremely gratifying service from these corporations how do you think it tests the limits of supply chain management and inventory management? Could this be the future for online shopping or delivery? Do you think implementing the service that EBay has in many other corporations could add a lot of jobs to the economy? Wal-Mart has seemingly had a considerable amount of trouble keeping shelves in its stores adequately stocked since reducing the number of employees on staff at once in stores. This is odd for a retail location since when products are not on shelves, there is not a large chance of them being purchased. Especially disconcerting is that Wal-Mart has become the largest retailer in the world on the back of a supposed mastery of its supply chain. Wal-Mart is now taking measures to ensure that the issue with product stocking is corrected. The latest effort employed to do so is an external auditing process which entails a detailed process of checking each and every Wal-Mart location to make sure that products (when in stock) are on the shelves for consumption. Wal-Mart refers to whether or not stores are adequately stocked via a metric known as on-shelf availability or OSA. 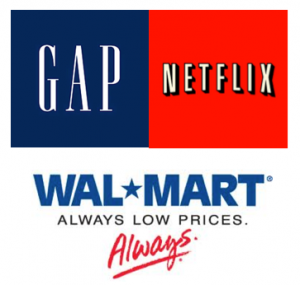 Due to the recent issues and the need to involve an external company to help stores ensure that they are stocked properly, shareholders are expected to vote at the next meeting as to whether or not Wal-Mart managers and executives should have their performance reviews and potential compensation tied to OSA. When visiting a Wal-Mart location, check for neon green stickers next to the price tags on certain products; those are the ones that the auditors are going to be looking for. Originally, the idea was to have the auditors go into the Wal-Mart stores and check on certain pre-determined items (unknown the store employees) and assign a grade based on how stocked those products were. However, before the actual auditing process ended up taking place, it was determined that it would be beneficial to the employees at the stores to know the products that were being checked because those would most likely be highly driven items for the time of the year. This entailed a rather tedious process for store managers as they had to allocate employees to the task of sticking green stickers next to products that needed to be stocked instead of actually just stocking them. While the idea is good in theory, the actual outcome has been less than stellar since a good portion of the stores now have incredibly well-stocked green dot items with very poorly stocked products immediately next to them. This should have been expected since the employees could focus purely on the products they would be evaluated on. This situation is a very direct link to supply chain concept discussed in class. In this case, the retail stores a sort of bottleneck. After the products are produced and shipped to retail locations, they are not being put out fast enough to get to the customers. Managers need to focus on properly allocating their limited employee resources to getting the task completed. Do you think that this process will work? How else could Wal-Mart improve its product stocking? Is the long dreaded statement, “You get what you pay for” true? Or is it just a coined phrase that consumers overuse? The recent numbers for the business quarter were released by Wall Street Journal and Costco’s numbers were nothing less than impressive while Walmart’s numbers were nothing spectacular. 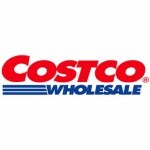 Costco experienced an 8% increase from last year’s benchmark and a 5% increase in same-store sales. These impressive numbers that Costco released may reveal that consumers are sick of receiving a shoddy service from corporations such as Walmart. 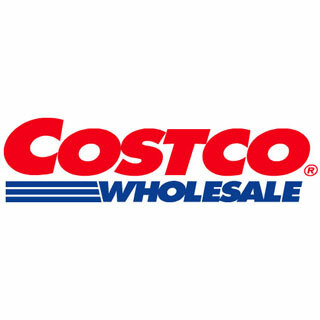 This grocery superstore (Costco) does charge a member fee; however with the 8% increase this quarter it doesn’t seem to be stopping anyone from coming and ditching Walmart. Walmart is known for its unbelievable cheap prices and record-breaking deals, but are these numbers revealing that consumers may be sick of it and switching to Costco? The article suggests that the reason for this downfall at Walmart may be related to the minimal wage it pays its employees. On the other hand, Costco pays its employees a decent wage where they can afford even the extra remedies in life. Where a Walmart employee can barely afford to take their kids to the doctor. Even if the average employee at Walmart finds a loophole to squeeze a little more pay out of the company Walmart Corporation won’t hesitate to cut that stores employment roster by nearly one and a half percent. As a result of these minimal wage efforts to their employees their quality of service has significantly decreased. Employee moral is down because there is an extreme lack of motivation between workers when they know pay is extremely low. Inventory remains pilled up in warehouses around the country and customer services line are metaphorically speaking “running out the door.” To add to another fall back Walmart is experiencing, is that when customers do want their products, they are nowhere to be found. Walmart is experiencing these sales hit and we can see that they may be directly related to poor compensation received by their employees. Staff and salary cuts at Walmart have been occurring since the recession while customer service continue to drop. Yet Walmart still continues to open retailers around the world. With the decrease in the quality service that Walmart is providing maybe it is time to revamp some of their strategies and move away from extremely low prices. They need to invest some of this money into paying their employees properly because with low wages we can see employee turnover and sales are at a low. Personally, I have experienced Walmart’s poor quality service and am not a firm supportive of how they treat their employees; however I do enjoy their extremely low prices. Will following Costco’s employee wages support team moral and inadvertently improve company sales at Walmart? What quality tools can Walmart use to design a new business model to ensure this won’t continue to happen? You get what you pay for; do you think Walmart provide shoddy quality service? Can We Afford to Raise Wages to 29 Cents per Hour!? After several major accidents in textile factories in Bangladesh over the past couple months, in which hundreds of workers died, Walmart sent a warning of its new “Zero Tolerance” policy to suppliers. At least two of these factories had what Walmart called “unauthorized” contracts with its suppliers. Walmart has reacted by informing its suppliers that it will no longer tolerate unsafe working conditions or unethical practices in the factories that make goods destined for Walmart stores. In a letter sent to suppliers outlining the company’s new policy, Walmart states that suppliers who fail to meet Walmart’s new guidelines could risk being permanently barred from doing business with the retailing giant. Is this move by Walmart just PR damage control or do you think the company will truly follow through on this new policy? If the company does follow through, is this new stance based purely on calculated analysis that will save money in the long run, or does Walmart truly care about human rights? On April 24th a Bangladeshi garment factory complex collapsed killing 362 people, although the building housed nearly 6,000 employees and many are still unaccounted for (Link #1). This disaster is at least the third of its kind to occur in the south-Asian nation since 112 workers died in a factory fire in November 2012. With wages and inflation increasing in China, Bangladesh has seen many garment manufactures move to the impoverished nation. China’s average hourly wage is now $1.34, while Bangladeshi wages are on average between 18 and 26 cents per hour, the lowest in the world. Spurred by cheap labor, the garment manufacturing industry in Bangladesh has grown to about $19 billion as of 2013 (Link #2). This quick growth, coupled with a low-cost focus, has led to unsafe conditions in which many factories have been converted from residential buildings, thus not meeting fire safety or maximum occupancy regulations. According to the executive director of the Bangladesh Center for Worker Solidarity, about half of the factories in Bangladesh do not meet legally required work safety standards, standards that are much lower than other emerging nations to begin with. To combat this problem, Walmart has released a document spelling out its “zero tolerance policy” pertaining to working and safety conditions in factories suppliers subcontract with (Link #3). Within this document, Walmart states it “would like to improve the safety of [its] global supply chains”, and that it “is committed to value chains that empower people who work in them.” To oversee this goal, all factories in Bangladesh are to be audited by Walmart to ensure they are abiding by acceptable safety standard regulations and “Ethical Sourcing” requirements. Factories that fail to meet these requirements will be added to a “red card” list on Walmart’s corporate website, which will bar them from being included in the company’s massive supply chain. Further, according to the “Zero Tolerance” document, Walmart has been meeting with government officials and other companies who outsource manufacturing to Bangladesh in order to create a united front against subpar labor standards. If the “Zero Tolerance” measures don’t work in Bangladesh, Walmart’s suppliers may have to move contracts to countries like Cambodia or Vietnam where average hourly wages are 29 cents and 55 cents, respectively. This move will undoubtedly raise costs associated with Walmart’s supply chain, as will implementing the auditing process of Bangladeshi factories. As a reader of this blog, what do you think Walmart’s motives are for implementing these strategies? From a profit and loss standpoint, do you think this will help or hurt Walmart’s shareholders? In today’s changing world the product is no longer the most important thing in the shopping process, people are beginning to care more about customer satisfaction, especially in the retail industry. Although its true that customer satisfaction is improving, not all retailers are keeping up with today’s expectations, according to the American Customer Satisfaction Index (ACSI). Brick and mortar are still the highest rated retailers; however e-commerce is beginning to excel as well. On the negative side, traditional retailers are the ones that are receiving the most negative assessments. Although many traditional retailers remain with good or average scores, especially the ones that compete with online shops. In the latest ACSI study, the average for retail companies was 76.6 of a 100-point scale in 2012. With the exception of Internet retail, which is considered as e-commerce for ACSI. This Industry got an 82 score, and from the nine worst rated retailers from ACSI scores, there was just one online retailer. But even an “average” score, can be considered bad for business, because customer expectations are very important for a company’s score. However customers are lowering their expectations. They’re not actually looking for better shopping experience in the traditional retailers, and for internet retail is the other way around, customers are expecting more of them. The businesses that failed to impress customers last year have been having a difficult time for many years. As we learned in class, many companies go under because they failed to understand what the customer really wanted. For example, Safeway has been struggling with customer satisfaction for the past 10 years. For other companies underperforming is a relatively new obstacle, like the case of Netflix, that outperformed average for four years and in 2009 was rated the top retailers, but in the past two years the Internet video retailer has been considered the worst Internet rated company. Although traditional retailers are struggling to keep customers satisfied, they still have the majority of the sales, but its probable that if Internet retailers continue outperforming in customer satisfaction (compared to traditional retailers) they will gain brick and mortar market share eventually. Why the empty shelves? Since the recession, Walmart has tried to cut costs. To accomplish that, Walmart cut staff. “In the past five years the world’s largest retailer added 455 U.S. Walmart stores, a 13 percent increase, according to company filings in late January. In the same period its total U.S. workforce, which includes employees at its Sam’s Club warehouse stores, dropped by about 20,000, or 1.4 percent.” So as Walmart continues to open new stores throughout the country, they also continue to cut their workforce. This has had some severe consequences. Some of these include longer checkout lines, less help available to customers throughout the store, and disorganization. These issues have caused Walmart to place last amongst department and discount stores in the American Customer Satisfaction Index. This is the sixth consecutive year that Walmart has tied or taken the last spot. The lack of customer service due to a lack in staff is definitely to blame. Walmart has so much inventory in back, but not enough staff to stock the items on the shelves. Customers cannot find what they are looking for and cannot find an employee to help them. When the customers go the check out, they are faced with long lines and few checkout lanes open. In the past, other retailers have viewed labor as a controllable expense that is an easy way to cut costs. In the early 2000s, Home Depot had the same thoughts as Walmart. They could easily cut expenses and grow profits by cutting staff and relying on part time workers. Eventually customer services and satisfaction plummeted causing sales growth to fall throughout established Home Depots. If Walmart continues to cut costs by cutting labor, they could face the same fate as Home Depot. Adding five full time employees to Walmart’s U.S. stores would cost around $448 million a year. This would add about a half-percentage point to Walmart’s selling, general, and administrative expenses. For such a big company, a half-percentage point is nothing, especially when looking at the future and long run of the company. If Walmart continues to cut costs by cutting labor, they will fall into a vicious cycle. With no staff to stock the shelves, the company cannot sell things that are not out and made available to customers. 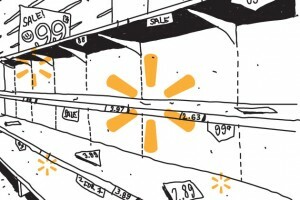 Eventually customers will choose Walmart’s competitors over Walmart for all their shopping needs. A change definitely needs to occur or Walmart will have many problems in the future. What are some ways that Walmart can cut costs without cutting out customer service and satisfaction? Many of us now have to take annual FCPA (Foreign Corrupt Practices Act) training to validate/confirm that we are in compliance with the requirements of the act. Essentially, the FCPA prohibits bribes (which may be acceptable in other cultures) from being paid by US-based companies while conducting business outside of the US. Companies that are well-prepared for this have policies and processes in-place to ensure that not only bribes are not paid, but also that the appearance of a bribe is not paid. Walmart is not one of those companies. For months, rumors have been in and out of the news regarding the bribes paid by their Mexican subsidiary in the course of conducting business; primarily around obtaining permits and zoning for new stores. Their shares are down further after NYT published their investigation into the issue. The worst part: it appears as though Walmart shut down the internal investigation as soon as it started to “look bad” so that they would not be obligated to report any wrong-doing. Was the price worth it? Sadly, for Walmart: maybe. They have become one of the largest corporations in the world based on volume and cost, often at the expense of the communities around them, their employees, and now, apparently, ethical business practices. The general motto seems to be to move forward with “the plan” (employee benefits, cost of goods, location of stores, etc.) regardless of the cost. In the short term, this seems to be working. Walmart also has a favorable economy for their business model as low-cost and convenient are two of the most important things to many of today’s consumers. Many households are on such tight budgets that they cannot “make a statement” with their purchases (or lack of purchases): they need to buy their groceries and other goods at the lowest cost possible. So they continue to shop at Walmart despite the less than stellar business practices. So, the $1MM question: will it continue to work for Walmart? Maybe, maybe not. I would like to believe not as the price the communities and individuals are paying to the benefit of Walmart cannot be worth it in the long-run. But, commercialism is powerful. If enough people either: (1) read the news and do not care or (2) do not read the news, then Walmart will continue to have customers and sales despite the business practices. Over the past several weeks Walmart has made headlines for employee protests rather “everyday low pricing”. Walmart has opposed unions since they opened in 1962 and there have been several failed attempts to organize the over 1.4 million Walmart employees. The efforts in the past few years are gaining momentum and even Walmart executives have acknowledged their efforts. Employees of Organization United for Respect at Walmart , OUR Walmart coordinated protests on the busiest shopping day of the year. It involved 1,000 stores, 4,000 members and thousands of others sympathetic to their position. The members of OUR Walmart want more full-time positions, predictable schedules, and respect. The members of OUR Walmart say that they some of the employees aren’t making enough for a decent living. Some of the Walmart representatives rely on government support and food banks where Walmart is a contributor. The claims against Walmart extend beyond the complaints from the employees. Many activists say that Walmart’s growth has come at the expense of its workers, environment, and the law. The articles sited that since 2005 Walmart has paid $1 billion in damages related to unpaid work. There are also allegations of corruption in its Mexican subsidiary and a potential cover up by Walmart executives. In November there was a fire at a factory in Bangladesh that Walmart uses for sewing clothes. The previous year declined to sign an agreement among retailers that would have improved working conditions. On Walmart’s side, CEO Mike Duke told Bloomberg that “This tension for me is not a tension.” Walmart executives stand firmly that they are supporting their workers better than their competition and claims that their turnover rate is lower. David Tovar, a spokesman for Walmart said “we have human resources teams all over the country who are available to talk to associates”. Walmart says that their benefits are affordable and comprehensive and overall they are proud of the jobs they offer. The protests on Black Friday only impacted one tenth of one percent of the company’s workforce. If Walmart employees unionize they are risking vacation time, bonus, discounts and other Walmart employee benefits. Each side of the fight has brought a team of experts to tell their side of the story. Walmart brought in a strategist for the Democratic campaigns to improve Walmart’s reputation. Leslie Dach specifically focused on reducing waste and energy use and supported Obamacare. OUR Walmart is working with ASGK Public Strategies and the UFCW. ASGK is making OUR Walmart a brand and using tactics such as social media to build the base of supporters. Their efforts have been highly organized and effective compared to previous union attempts. QUESTIONS: Walmart’s strategy to ignore the efforts is not working as it did with other attempts. I questioned if Walmart make OUR Walmart an ally rather than an opponent? Do you think Walmart employees are treated and compensated fairly?